Ald. Ann Rainey (8th) speaks at a city meeting. Rainey said she felt Friday's meeting, since no legislating actually took place, should not have been called. A hectic 24 hours of public and political outcry against Evanston’s potential opt-out of the Cook County minimum wage increase ended anticlimactically Friday morning when the council did not vote on the opt-out during what was billed as an emergency meeting. The county ordinance, which will raise the Evanston minimum wage from $8.25 to $10 per hour and require employers to offer paid sick leave, will take effect Saturday. Mayor Steve Hagerty had initially called for the emergency session but said in the meeting’s opening minutes that he recommended the council not vote. The event was ultimately not classified as an official council session. All nine aldermen spoke and expressed support for the ordinance. A standing room-only crowd of citizens had packed the council chambers and booed and hissed at Hagerty until he advised the council to not vote on opting out. The second portion of the event consisted of a public comment section, during which speakers unanimously expressed support for the wage increase and brought up various other issues. Several aldermen apologized to attendees for — as Ald. Ann Rainey (8th) said — “wasting everyone’s energy to come to a pointless meeting.” Rainey also said she wished the meeting had been canceled and the council would “just start doing things” instead of talking excessively about them. Ald. Donald Wilson (4th) said that the meeting wasn’t meant to “sneak anything” into law but to inform citizens and business owners about the increase. Nevertheless, several public speakers questioned the intentions of the meeting. 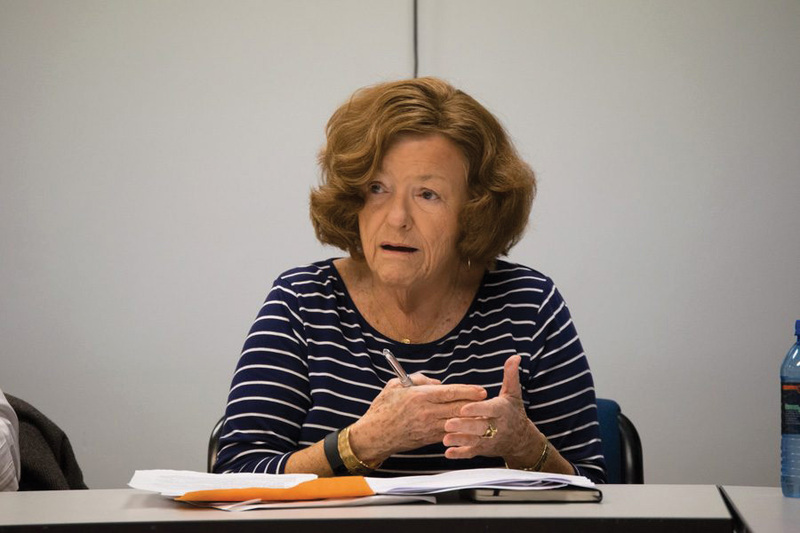 “I’m glad with the outcome, (but) I’m not confident that it would have been the same if we were not all here,” said Evanston resident Betsy Wilson during the public comment section of the meeting. Hagerty announced the emergency session Thursday after nearby towns opted out or discussed opting out of the ordinance. He said in the announcement that he was concerned that Evanston becoming a higher-wage island would present a “fiscal danger” to businesses. But the announcement was soon met with strong resistance. Schakowsky and Suffredin then participated in a press conference, held outside the Lorraine H. Morton Civic Center prior to the council meeting, then spoke during the public comment portion of the meeting itself. Suffredin said he believed Evanston’s regional competition for businesses is not Wilmette, but Chicago, where the ordinance going into effect Saturday will increase the minimum wage to an even higher $11 per hour. Hagerty told the crowd he, despite the lack of any legislative action taking place, viewed the meeting as a success.